If you check out the Enactus Singapore Facebook page, you will see post after post of where they have shared the national competition results and stories of their fellow Enactus countries. This sense of support and camaraderie was strongly felt during their own national competition on 21 June, a testament to the passionate students involved, the strong leadership of the staff and board of directors, the example set by the faculty members, and the support provided by the donors and executives who give both time and resources. Although it was one of our smaller competitions with four competing teams and just over 150 people in attendance, what it may have lacked in size it more than made up for in heart. Even the closing keynote speaker, Sim S. Lim, Country Head, Singapore for DBS Bank, commented on this, highlighting the importance of having generosity of heart and how this trait is exemplified by Enactus students. 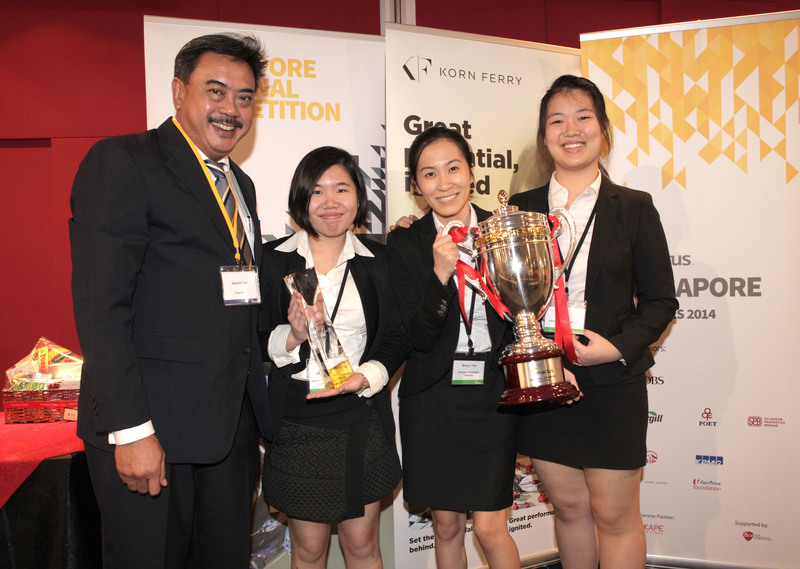 In the competition, 21 judges evaluated the impressive work of the competing teams, eventually naming Nanyang Technological University as the 2014 Enactus Singapore National Champion. Judges were impressed by their portfolio of projects including Gourmet Guru, a platform to financially empower low income homemakers by leveraging their culinary expertise to become cooking instructors. By teaching cooking lessons and helping to organize various events, the participants benefit from a steady income while developing valuable business skills. 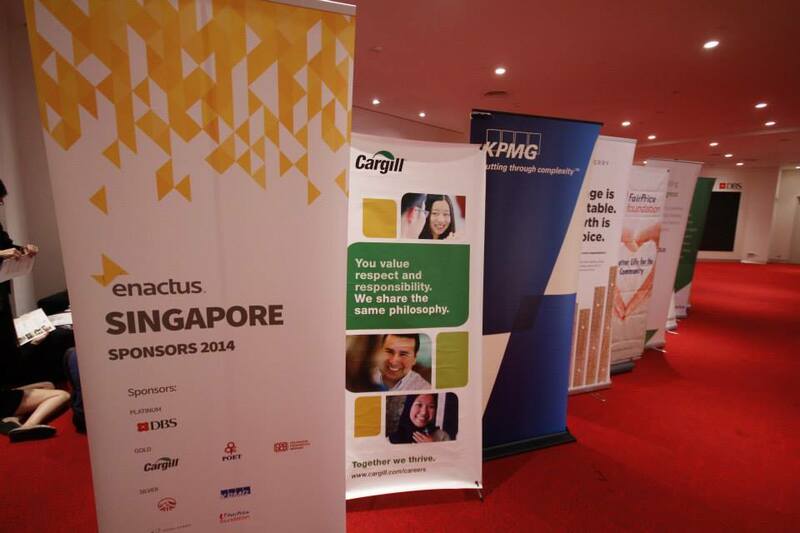 Support for the Enactus Singapore program is robust, as shown in the list of sponsors supporting the competition: DBS, Cargill Asia Pacific Holdings, POET, AIA, Korn Ferry International, Philip Morris Singapore, KPMG Singapore, Hyflux, Trelleborg, Bacardi-Martin, NTUC Fairprice, and Selangor Properties Berhad. And the support for the program from the individuals involved in these organizations is impressive, reminding us that Enactus is a cause that has the unique ability to engage both a global company while inspiring a single individual.